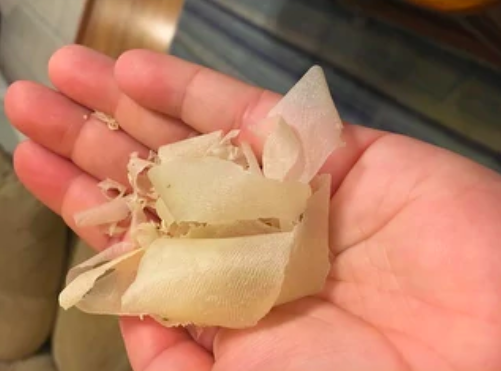 A foot peel, memory foam mattress, a pair of boots with a built-in wallet, and a bunch of other highly-rated random things that people have been raving about on Overstock! 1. A doggo coat everyone is giving a K-9 out of ten, because it turns out that winter is never ending and this coat'll keep your pup cozy and fashion-forward for the rest of his (snow) days. This toasty warm coat is made of polyester to keep your pooch perky even in the worst weather. It includes a removable faux-fur hood, zipper closures, a small hole for pulling the leash through, and usable back pockets. Promising review: "This is well made, not flimsy or cheap. My Miniature Pinscher is comfortable and warm in it and I'm pleased with the fit. I love the color. I'm happy with the velcro closure because putting it on and taking it off is a breeze. I also love that the hood is detachable; it's so cute when it's on." —Darlis S.
2. 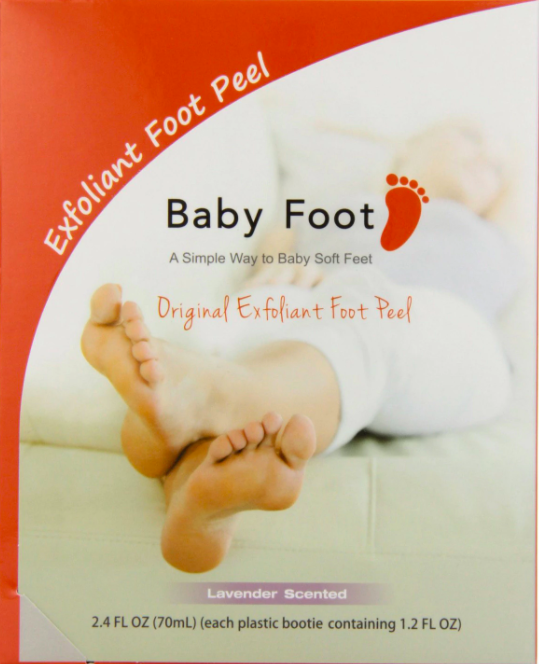 A foot peel so powerful you're sure to love the skin you're in (and out of). 3. A storage shower curtain for clearing out the edges of your bathtub so mold can't hide out in the space where you wash your naked body. Promising review: "This curtain is great! It holds everything so you can clean up the sides of your bath. The mesh cubbies are great because they drain water, unlike plastic pouches." —Eric F.
4. A modular tiered shelving unit that'll give new meaning to the term "stacks on stacks." 5. An eye shadow pallet with the perfect shade for (almost) every date. 6. An ottoman reviewers keep calling "charming," which makes sense, because when your furniture starts looking like Ferdinand, there'll be no better word to use. Promising review: "I love it! It has a secret storage compartment, is sturdy, and Is soft as can be. This is such a charming addition to my home." —Patricia B. 7. A removable baby rocker for those times when you don't want to let go of your baby, but your tired arms demand it. This convertible swing can also be attached and used as a rocker, so you can bring your baby with you throughout the house. It has three seating positions with a side-by-side sway or front and back swing (and six speed settings). There are also vibrations with two settings to help keep your baby relaxed. And if you're voice is worn out from how many times you've sung "Hush Little Baby," use the rocker's 10 songs and five nature sounds to sooth your baby to sleep. The attached mobile gives your baby something to look at and enjoy when they are inside the swing and not in the mood to snooze. It requires five D batteries (not included) or it can be plugged into the wall. Promising review: "I have researched and looked at swings and rockers for several months trying to find the perfect one. We have three dogs, two of which are quite large, so I wanted to be sure to find a swing that would not tip over easily. 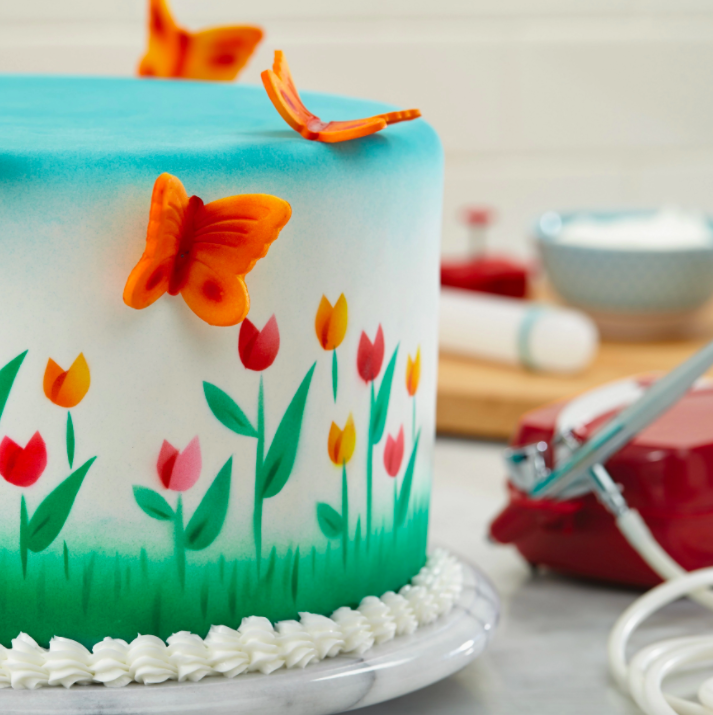 I love the base on this one. It is very stable and not easy to tip over. I love the feature that allows the seat to be removed and used as a rocker in other rooms without having to move the entire swing base. This will be very useful to carry the baby from room to room. And the plug-in feature is a lifesaver so we don't go through endless batteries. I'm very pleased with this purchase!" —Karen S.
8. A hand-woven rug made of natural fibers — it's sure to be a much better way to bring nature into the mudroom than by leaving a trail of dirt on the uncovered floor. Promising review: "This has a very nice thickness and is clearly well made. It looks so nice in our room and lays flat. The neutral color gives it an earthy look and feel to it. I am pleased with this purchase." —Jack S.
9. A pair of boots with a secret wallet — they'll be particularly helpful on nights when you know you'll be "forget your purse drunk" but definitely won't be "forget your shoes drunk." 10. A hot dog toaster for anyone who loves a quick meal and a perfectly cooked dawg. 11. A body pillow that'll be even better at snuggling than your S.O. is. Promising review: "This is HEAVEN! Anyone who hasn't tried this pillow is truly missing out. It is so comfortable and conforms to any body type. And this is a super price!" —Amy S.
12. A space-saving electric lawn mower we know your worn down winter lawn will thank you for come spring. This small electric mower means that you'll never need gas, oil, or tune-ups. It has three adjustable heights and an easily removable hard-top rear bag. 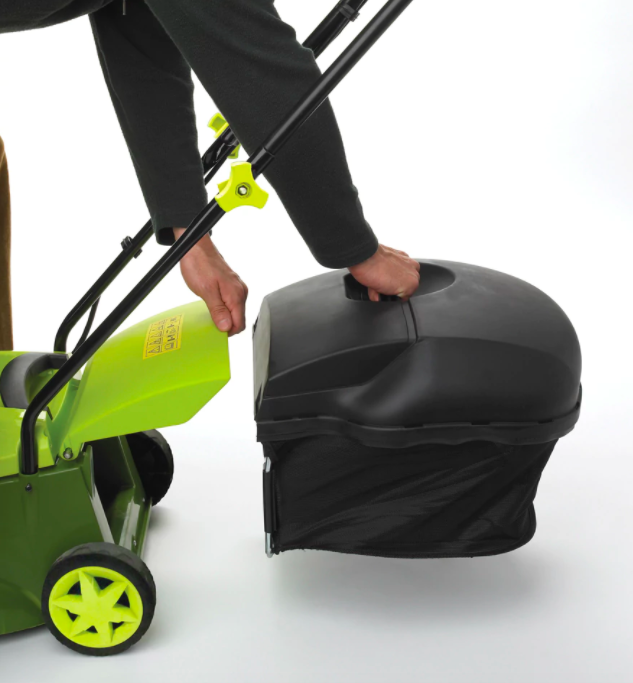 This thing is compact and perfect for places where you don't have much space to store a standard lawnmower. Promising review: "This is a great mower with easy assembly. It delivers the power of a gas operated mower with the convenience of an electric appliance. 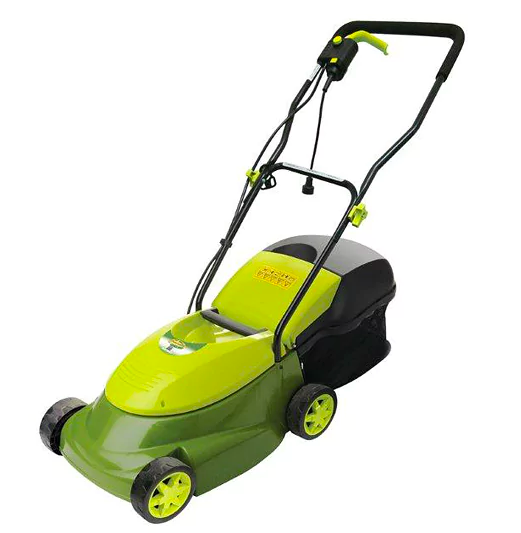 With a heavy-duty amp motor at its core, this mower can bag or mulch your grass clippings, and is therefore suited for homes with small, flat lawns. It has a push-button instant start and a single lever height adjustment that allows you to raise and lower the cutting height on all four wheels at the same time." —wafaa h.
13. A massaging shower head so relaxing it'll give you a reason to shower other than, you know, cleanliness. 14. 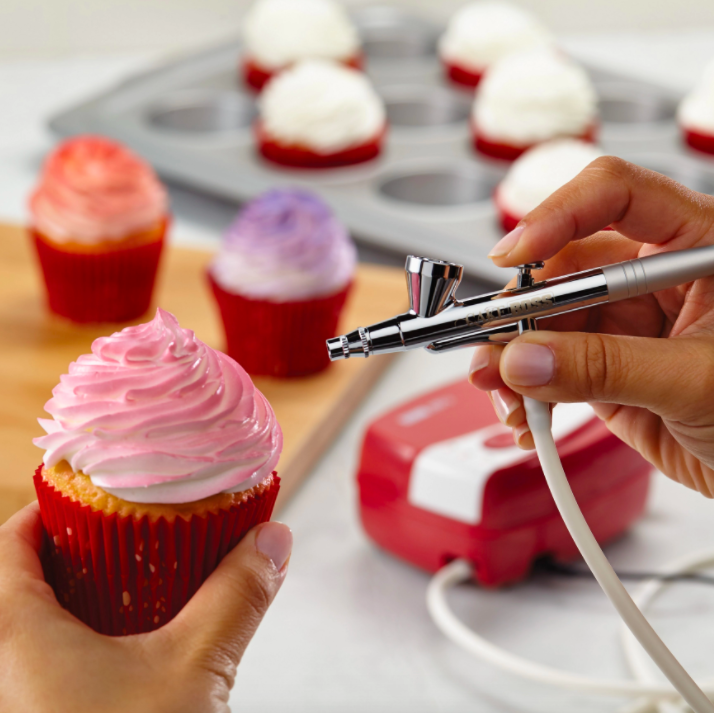 A Cake Boss decorating airbrush sure to be your best Buddy when you're baking. The airbrush kit includes a compressor machine, airbrush gun, rubber hose, A/C adaptor, adjustment wrench tool, plastic dropper, airbrush case, and an instruction booklet. 15. A covered bed as warm as your arms, so your sweet needy pup can have something to snuggle up in while you're away (instead of your sheets). 16. 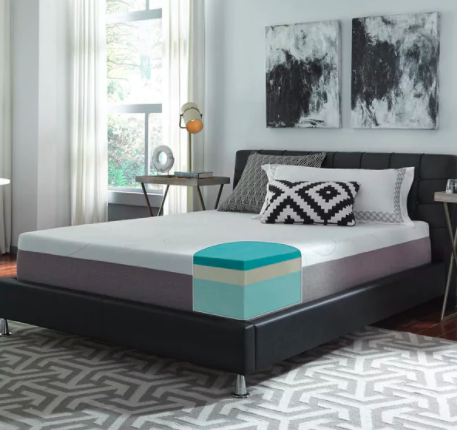 A memory foam mattress with a seriously small price tag — after a night on this you'll know you don't have to spend your life savings on a good night's sleep. 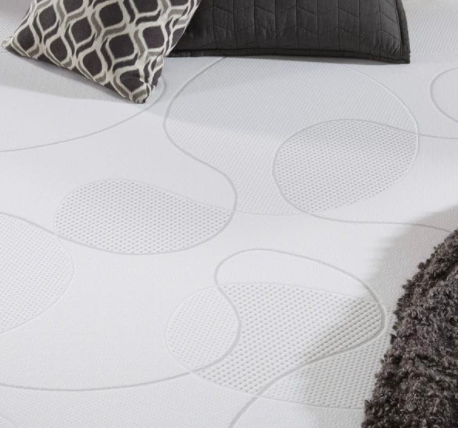 Promising review: "This is the most amazing bed EVER! My boyfriend and I got this and we are in love. We have had it for over a year and we still love it just as much as the first time we laid on it. I never want to get out of bed because I’m always so comfortable and I look forward to getting home every day from work knowing I will have the best bed to sleep in every single day!" —Emily A. 17. A bluetooth speaker for when you want everyone around you to know what good music taste you have. This portable Bluetooth stereo speaker works with smartphones, MP3, tablets, and computers. The mic has Siri activation that let's you tell this thing what to do. It has a passive subwoofer and up to a 10-hours battery life (uses a lithium-Ion battery). And it has two 40mm stereo speakers and one 40mm sub... so ignore it's size. This thing is LOUD. 18. 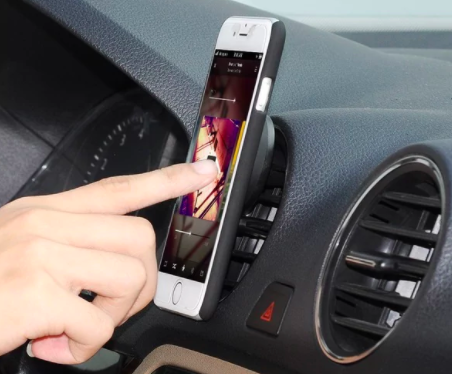 A crazy strong car mount so you can have your GPS somewhere more visible than the cupholder. Promising review: "WOW! I absolutely love this little phone accessory. 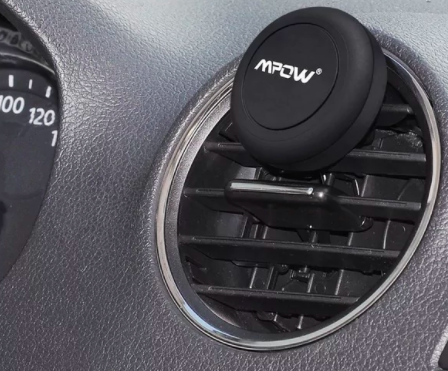 It works perfectly on my car vent and the magnets are sturdy as a brick wall. If I hit a bump, it doesn’t budge. Awesomness! It feels much safer to now drive with it gripped on the air vent instead of in a cup holder or in a purse. I will be purchasing more as gifts in the future." —Monica W.
19. A one-piece swimdress with the perfect twist and twirl to go with your back stroke. Promising review: "I love this swimdress! The print is abstract and is exactly how it is shown in the picture. The fit is perfect. It covers up enough skin that I do not feel uncomfortable swimming with it. And I'm definitely not gonna have any 'wardrobe malfunctions' with this swimdress, guaranteed! The material and stitches are great quality, so I am sure that this will last without wearing down. I love it!!" —Tatiana-Amor D.
20. A barrel cactus torch that's gonna make your backyard lit (for everyone other than mosquitos). Promising review: "This was a gift for friends and they are absolutely nuts about it! They put it in their cactus garden in the backyard. They do have plenty of mosquitoes and this not only adds beauty to the area, but also comfort, by repelling bugs! They told me all their friends absolutely rave over this cactus." —sharon c.
21. A swivel vacuum which moves so effortlessly, it may make cleaning feel a whole lot more like dancing. 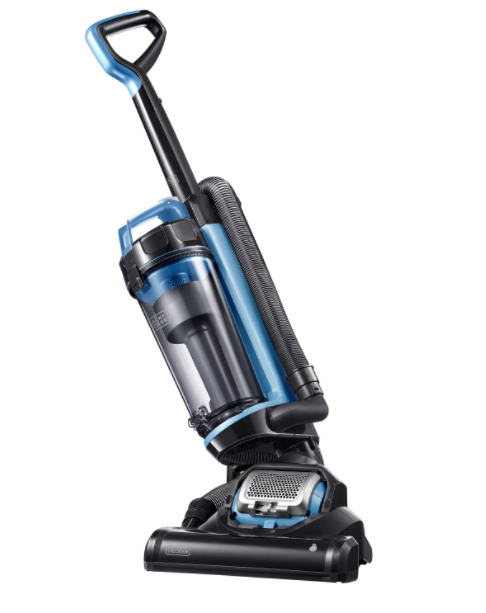 This power vac has swivel steering and a two liter dust cup. 22. A mid century modern chair to make your apartment look like the kind of place Jon Hamm would sit around. Promising review: "This chair is awesome! It fits perfectly under my desk, is very stylish, easy to put together, and is comfortable. Every time I go in my bedroom my eyes are drawn to this beautiful chair and I love it all over again." —Sarah S.
23. And a set of gorgeous dandelion sheets you'll wish were on your bed already. Promising review: "OMG I love my sheets! 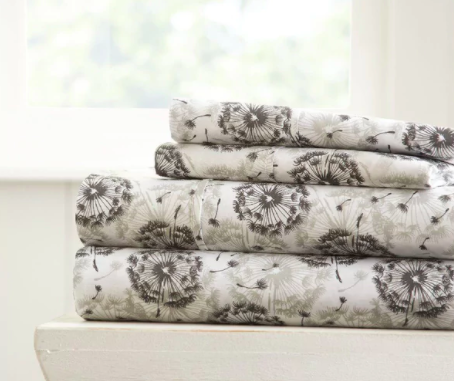 I've never had sheets with a print on them and yet I absolutely love this dandelion print. 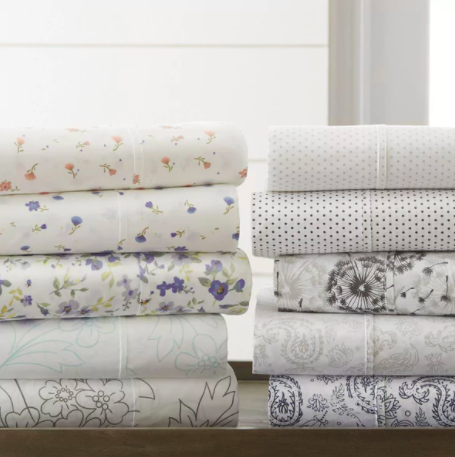 I'm oddly obsessed with them after only having solid sheets. The price is fantastic and they are SO soft and comfortable. I'll be buying more for sure." —Susan S.
When my dog sees his brand new Overstock coat.